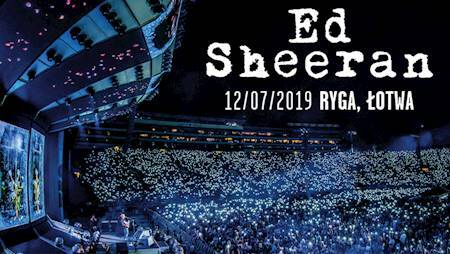 Ed Sheeran, one of the biggest-selling global artist of today, recent holder of MBE, four Grammys and five BRIT Awards, 6 x Billboard Awards and one of the world’s most in-demand live acts, will visit Prague & Riga during his Divide 2019 European Tour! The tour will not include Poland. This year's concerts of the singer in Warsaw were sold out immediately and the National Stadium was full in August (twice!). 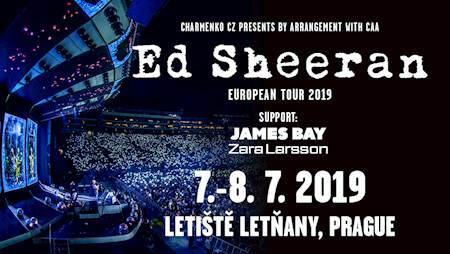 Ed Sheeran tickets for concerts in Prague and Riga are now available. It means that during ordering it is mandatory to give a name and a surname of each participant. Names and surnames will be printed on the tickets. The tickets will be checked before entering the concert in order to ensure that the data on the ticket corresponds with the data on the person's ID (identity card). Ticket limit: 4 personalized tickets per person. 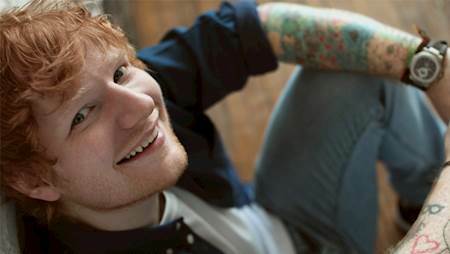 Ed Sheeran released his Grammy-winning third studio album ‘÷’ (Divide) in March 2017 and has continued to dominate charts across the globe since its release with over 15.5 million copies sold worldwide to date, Album ‘÷’ has spawned Ed’s hit singles “Shape of You” (the third biggest-selling single of all time in the UK and most-streamed track on Spotify, ever), “Castle on the Hill”, “Galway Girl”, “Perfect” and “Happier” and, together with the previous albums ‘+’ (Plus, 2011) and ‘x’ (Multiply, 2014), belongs to breakthrough albums of world music history. Ed Sheeran was awarded a MBE for his services to music and charity at the end of 2017. 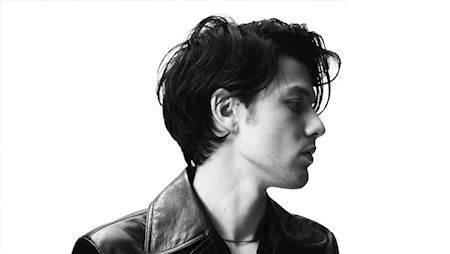 He has won an array of awards over his career to date including 4 x Grammys, 4 x Ivor Novello, 5 x BRIT Awards, 6 x Billboard Awards and many more.